There are many locations in the Dallas/Ft Worth that are reported to be "haunted". Our hope to begin visiting some of the places to find evidence of hauntings or ghost. 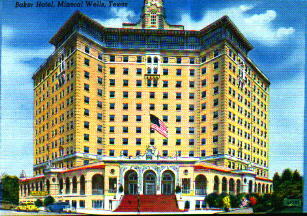 The Baker Hotel was built in the 1920's in Mineral Wells, TX and closed in 1971. This place is closed to the public, because this is an unstable building that has been vacant for 30 years. It is a very dangerous place for people who do not have permission to be in it. We were given a tour by the owner and then allowed to spend the night at the hotel. WARNING: DO NOT ENTER THE BAKER HOTEL with out permission or you could end up in the Mineral Wells jail. 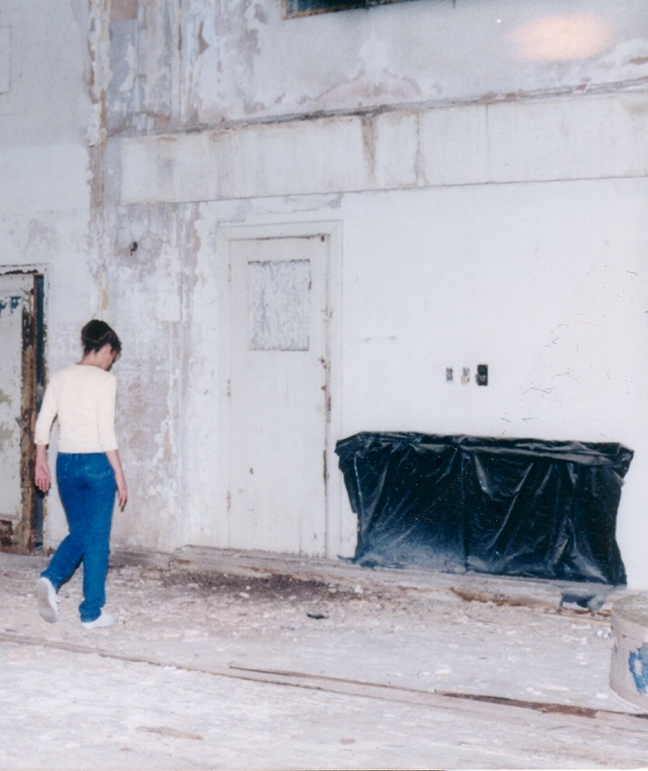 Here are some pictures from the Baker Hotel trip . Something found in the stairway measures a 8.0 on the meter. Same stairway now measures a 19.8 on the meter. could never find any physical or photo evidence. here in the 1940's to her death. that was locked. Never found out what was making the strange noises. A picture from the "ball room". This is the room where the below picture was taken of what might be a ghost. NOTE: The scan does not do the photo justice. The real picture shows the object much clearer. feel that in the top right corner the "orange pink cloud" is a REAL ghost photo. orb, which viewed in many ghost photos. Again, these orbs are said to be reflections of ghosts. 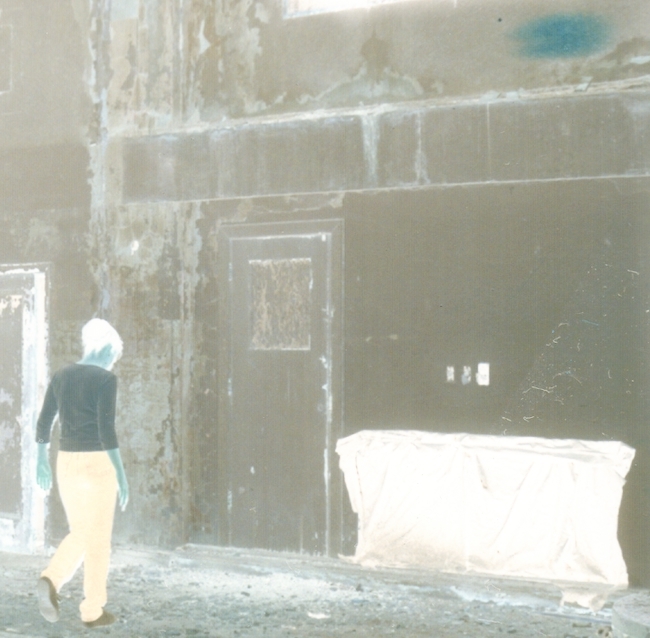 Here is a negative of the same picture which reflects heat. Note the object does "glow"
wall. Also note the "orb" also stands out..
Do not use with out permission!